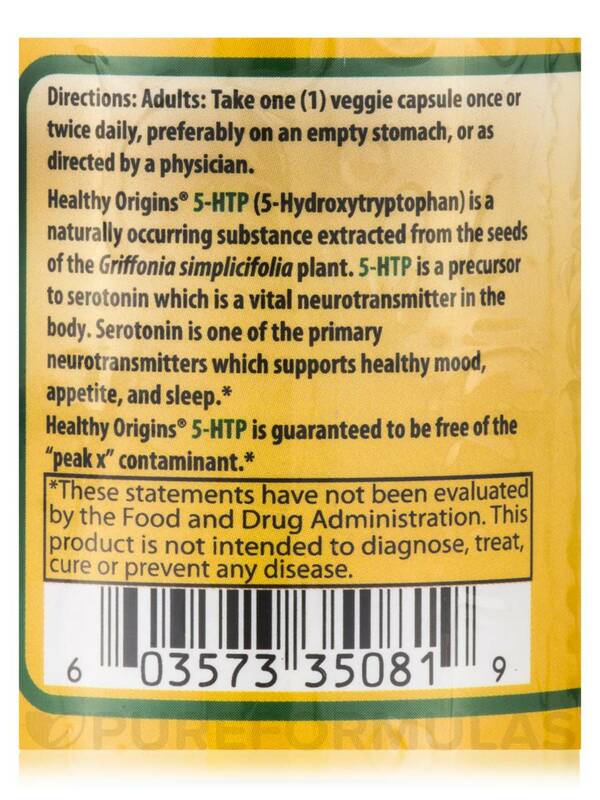 I have problems sleeping and 5 HTP 100 mg by Healthy Origins was recommended. I have been taking it as directed. It seems to help a bit. 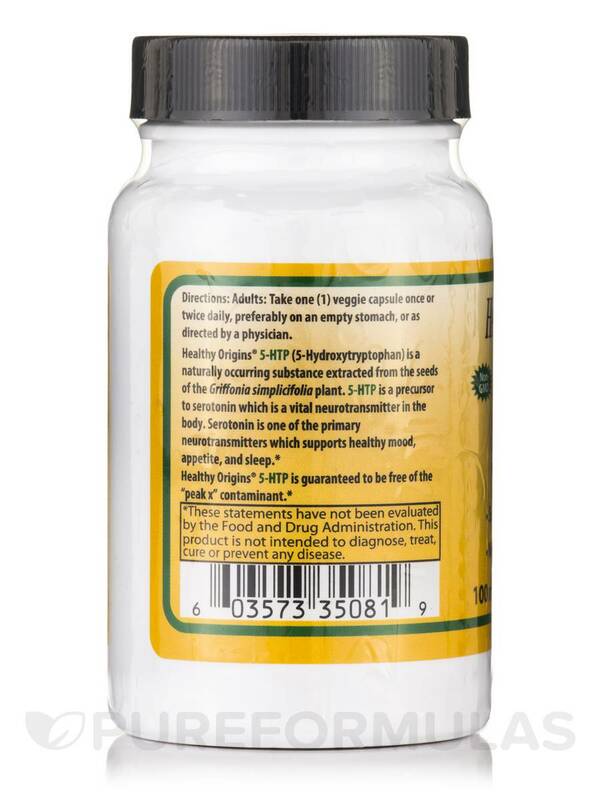 Healthy Origins® 5-HTP (5-Hydroxytryptophan) is a naturally occurring substance extracted from the seeds of the Griffonia simplicifolia plant. 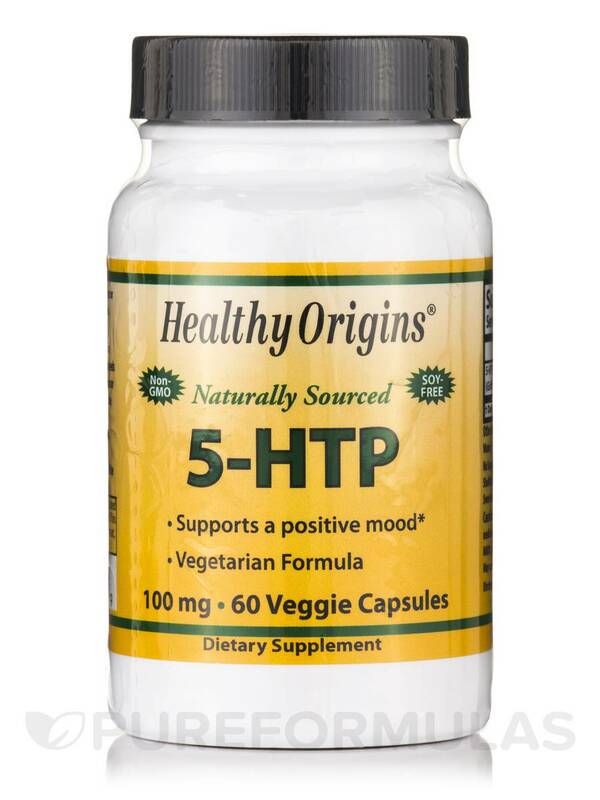 5-HTP is a precursor to serotonin which is a vital neurotransmitter in the body. Serotonin is one of the primary neurotransmitters which supports healthy mood‚ appetite and sleep. Other Ingredients: Rice flour‚ vegetable capsule (HPMC‚ water). Free of Sugar‚ Salt‚ Yeast‚ Wheat‚ Gluten‚ Corn‚ Barley‚ Soy‚ Fish‚ Shellfish‚ Nuts‚ Tree Nuts‚ and Milk Products. No Preservatives‚ Artificial Flavors‚ or Synthetic Colors. 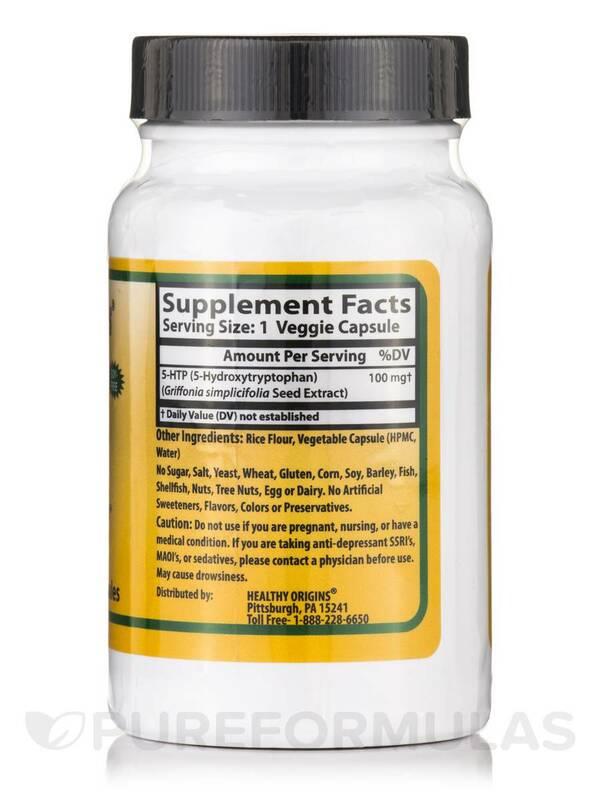 Take one (1) veggie capsule once or twice daily‚ preferably on an empty stomach or as directed by a physician. 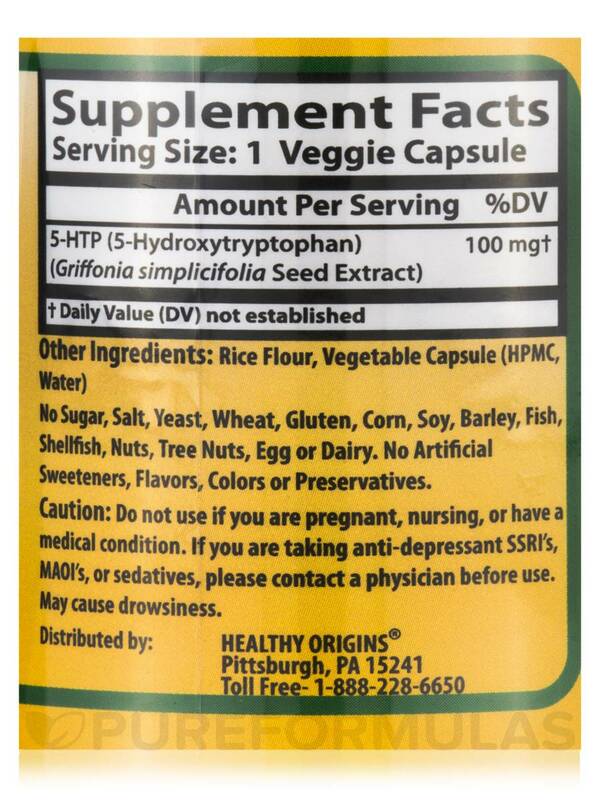 Do not take if you are pregnant‚ nursing or have a medical condition. If you are taking anti-depressant SSRI's‚ MAO Inhibitors‚ or sedatives‚ please consult a physician before use. May cause drowsiness.